On December 24, 2015, Tara was running errands that evening to prepare for Christmas the next day. While driving to pick up food from her Aunt, she noticed that there were not a lot of cars driving on the road surprisingly enough. As she was driving on Jamaica Avenue and crossing the intersection of 212th Street (with a steady green light), there was a cop car that pulled out in front of her that made an illegal left turn and did not have their turn signal, lights, or sirens on! Tara crashed the front end of her vehicle into the right passenger side of the police vehicle. Her right knee went into the dashboard! The police did not check on Tara after the accident and she was soon taken by ambulance to North Shore LIJ emergency department where she was evaluated, treated, and released home with pain medication. As a result of the incident, Tara severely injured her right knee (medial meniscal tear, chondromalacia, and synovitis) that required surgery under general anesthesia less than 3 months after the accident. She suffered right knee pain and reduced range of motion to her right knee as well. She was confined to her home/bed for approximately 4 months and was totally disabled from working for several months. Tara also had to undergo years of therapy to her right knee. To make matters worse, Tara was shocked to learn that the police driver that crashed into her had lied on the police report and said that he had “a green arrow light” and that she (Tara) stated that she did not have enough time to stop properly…which is why she crashed into the police vehicle! Thanks to her friend that works at Irie Jam Radio, she was recommended to The Case Handler team! With the help of our skilled personal injury team at Pollack, Pollack, Isaac & DeCicco, LLP, we proved that the police provided inaccurate statements in the accident report. All of Tara’s medical bills (including her surgery) were completely paid; and we made sure that Tara received additional compensation for her lost wages due to the accident. 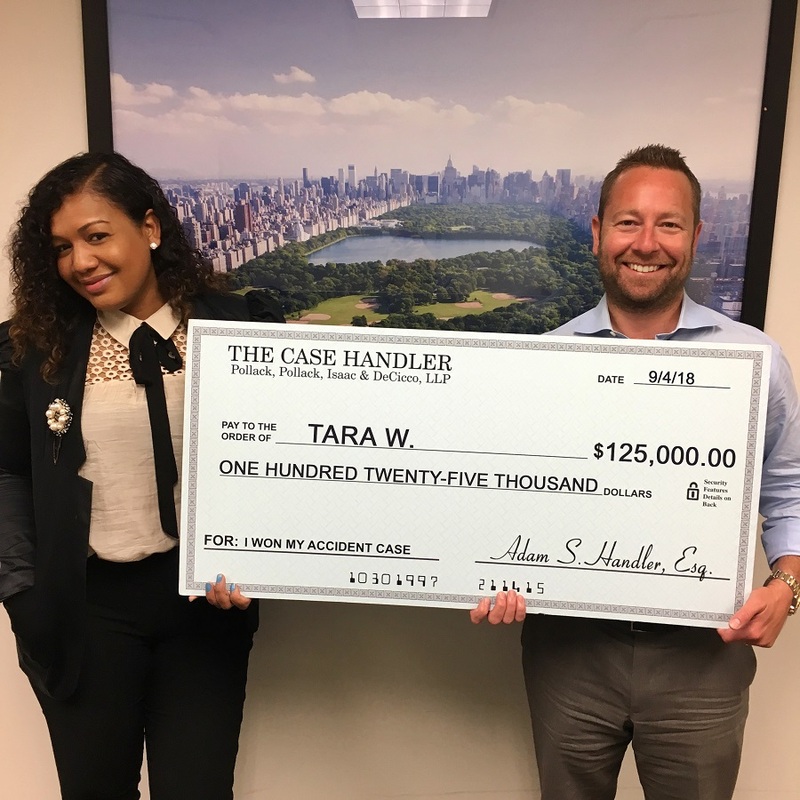 In the end, our team successfully helped Tara recover $125,000.00 to settle her bodily injury claim against the City of New York AND additional compensation for her lost wages! Calling 911 or the police after a car accident is usually the first thing most people would do. What if a cop car or other city-owned vehicle caused the accident and blamed you for it? While no one should ever be dishonest after an accident, it’s more despicable for someone with authority to take advantage of their power at the expense of real victims. Tara’s life was turned upside down because a police officer acted reckless behind the wheel for just a moment. No matter how powerful someone may be, The Case Handler team will fight for justice. 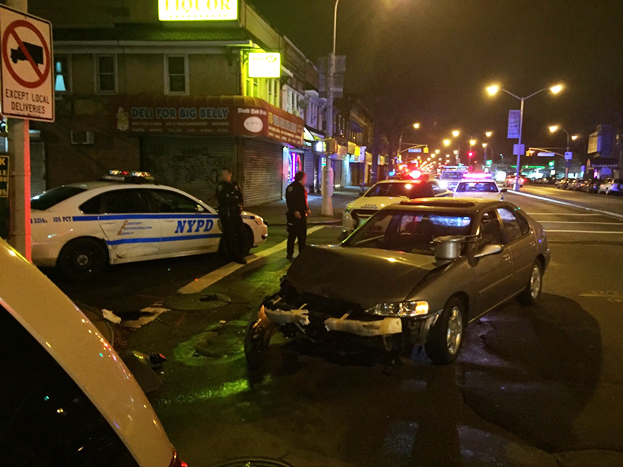 If you were injured by a police vehicle or other type of city vehicle, contact a diligent Queens police car accident attorney that will be “on top of it all” for you or loved one.